AGR2 antibody recognizes anterior gradient protein 2 homolog, also known as AG-2, HPC8, anterior gradient homolog 2, protein disulfide isomerase family A, member 17 or secreted cement gland protein XAG-2 homolog. Mouse anti Human AGR2 antibody recognizes anterior gradient protein 2 homolog, also known as AG-2, HPC8, anterior gradient homolog 2, protein disulfide isomerase family A, member 17 and secreted cement gland protein XAG-2 homolog. 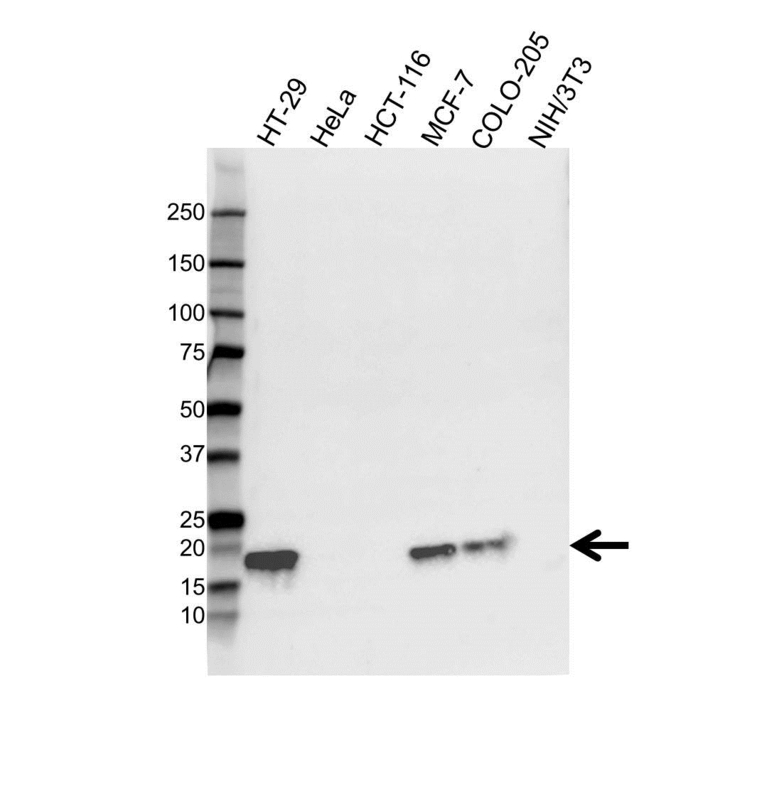 Mouse anti Human AGR2 antibody detects a band of 18 kDa. The antibody has been extensively validated for western blotting using whole cell lysates.